When you’re in the market for a new Honda vehicle, choosing financing or leasing can be a stressful process. However, Lou Sobh Honda offers a variety of incentives that deliver a great value on a reliable new car, truck, or SUV. Check out our national incentives on the sporty Honda Civic or three-row Honda Pilot online, then stop by our showroom near Alpharetta to see them in person. 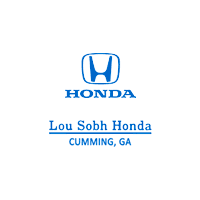 Why Shop at Lou Sobh Honda For a New Honda? At Lou Sobh Honda, we’re here to help you through every part of the buying process, including the do’s and don’ts of car buying. Once you’ve explored our new vehicle specials, you can visit us near Dawsonville to speak with one of our helpful customer service representatives. We even have free lattes in our customer service lounge if you need a pick me up! Apply for financing ahead of time or give us a call at (770) 813-1995 with any questions.